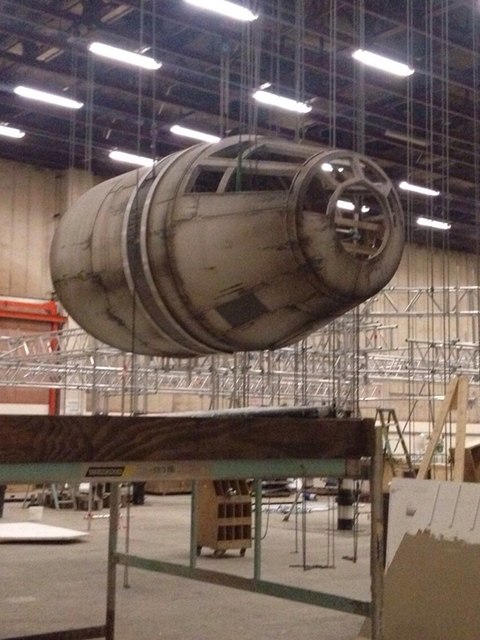 TMZ has shared some leaked Star Wars: Episode VII production photos that show the beginning stages of Han Solo’s legendary spaceship the Millennium Falcon. You can view more of the leaked photos online at TMZ’s website. 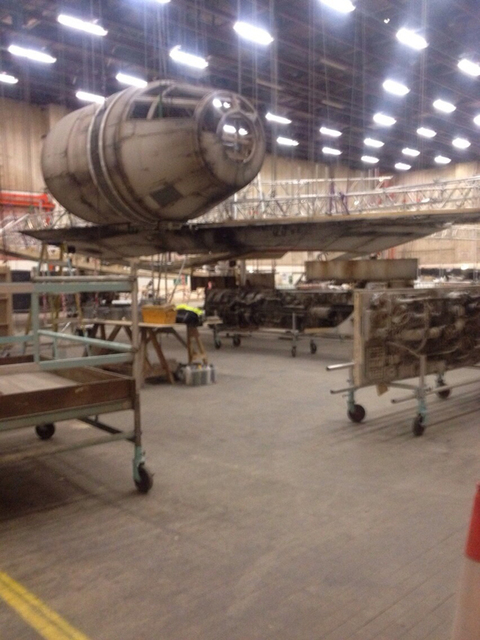 We previously wrote about their leaked Star Wars: Episode VII photos of real sets and a new alien creature. 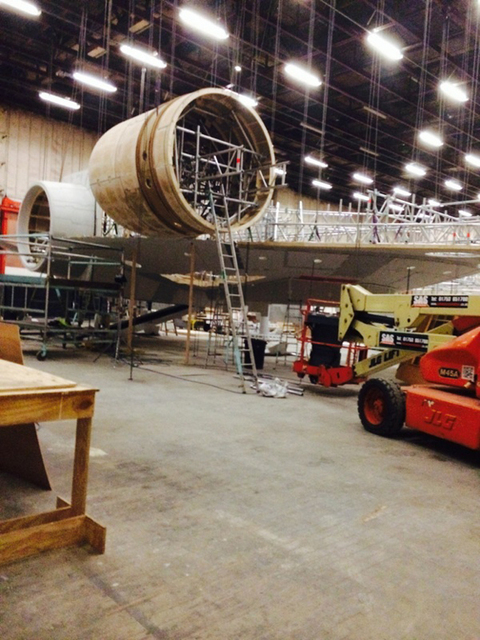 Sources close to the Rebel Alliance tell us the pics were taken inside an uber-secret location in the UK — where different set pieces, props and creatures are being constructed.